Spring Clean + Earth Day = Donate + Recycle! 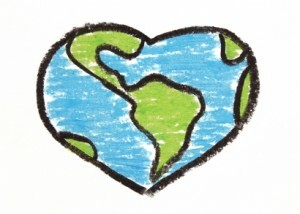 Friday, April 22 is Earth Day but we like to think that EVERY day is Earth Day! Every merchandise donation you make to Impact Thrift, helps to keep those items out of land fills and puts most back in service! Every purchase you make from our stores helps us to financially support a variety of non-profits in the Philadelphia area! Earth Day began in 1970 as a day to demonstrate for a healthy, sustainable environment. It has morphed into a year round, sustainable movement that is more about action than talk… a movement focused on a future of clean air, clean energy and a clean world for generations to come. Every one who shops or donates to a thrift store is a participant in Earth Day every day. This year we will be participating in a number of Collection Drives in the area. If you are interested in organizing a Collection Drive for your school, business or neighborhood, contact us today! 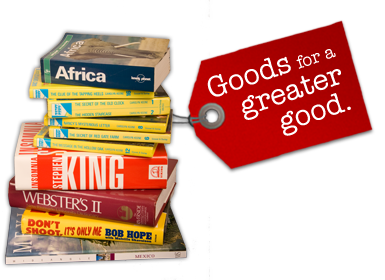 Click here to learn more about how and what you can donate to Impact Thrift Stores! Click here to learn more about how some of your donations are recycled! This entry was posted in A Day in the Life, The Big Picture and tagged community collection drive, donate clothing, donate furniture, donate shoes, downsize, Earth Day, recycle, repurpose, spring clean, support charity, upcycle. Bookmark the permalink.